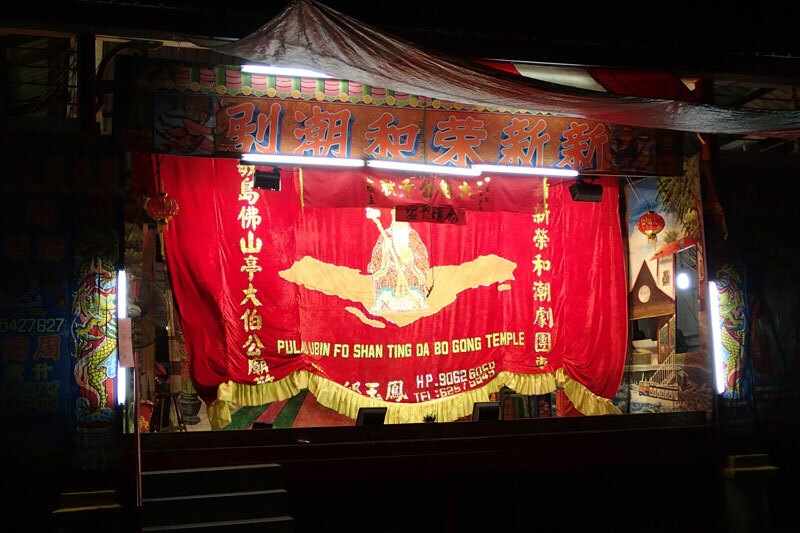 Yesterday was the first day of a 6 days celebratory festival of Pulau Ubin Fo Shan Ting Da Bo Gong Temple (Tua Pek Kong). 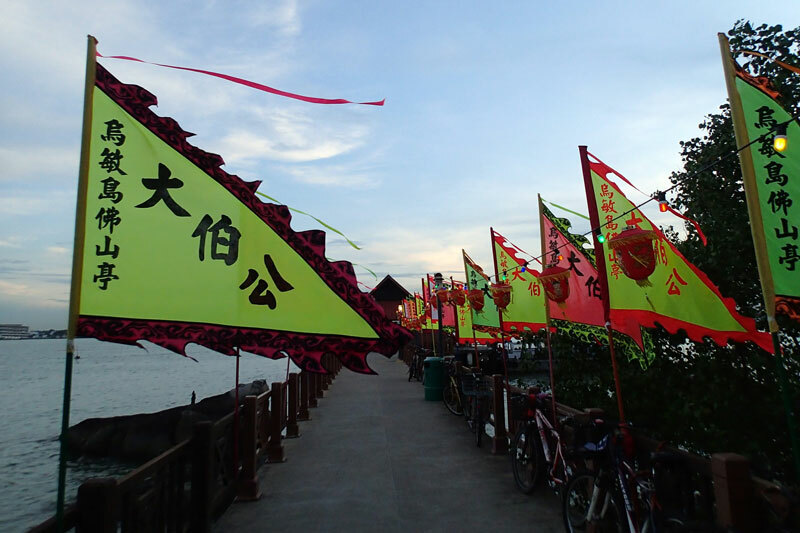 Everyone is welcome to this celebratory event and there is event free bumboat service provided in the evening for all 6 days. 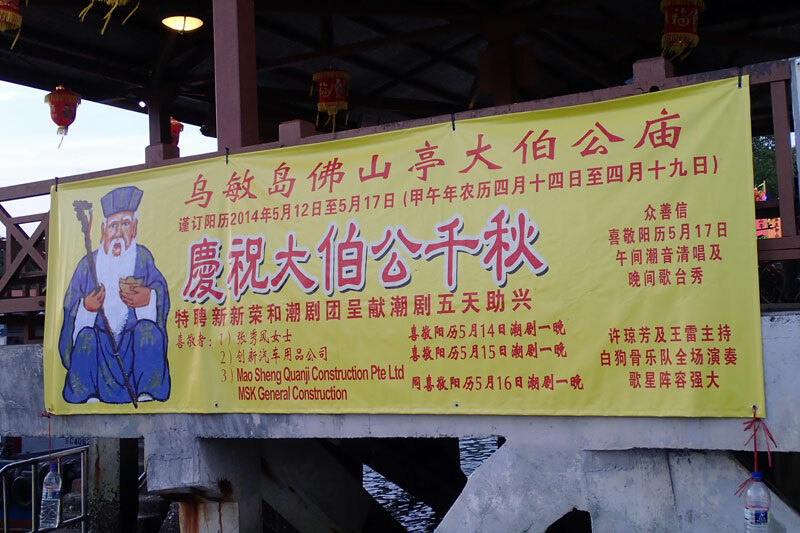 Notification banner at Ubin jetty. 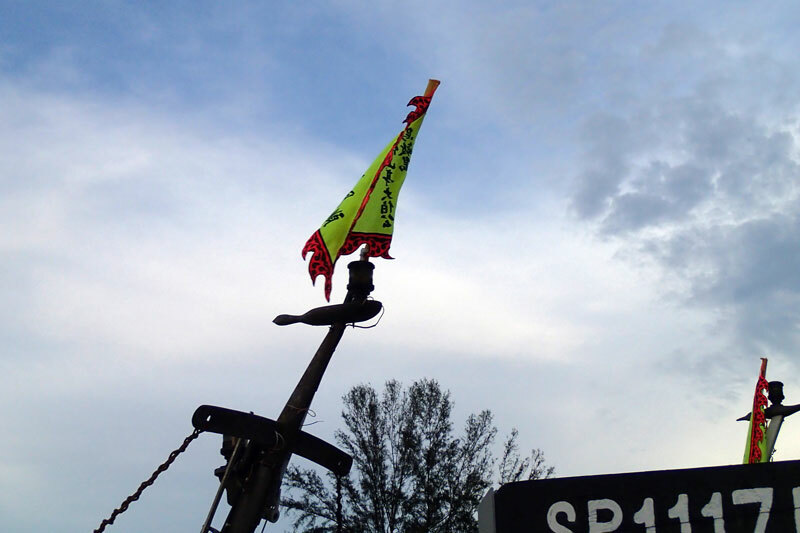 At Changi Point Ferry Terminal, the same banner is placed outside Ubin Seafood Restaurant, next to the ferry terminal. 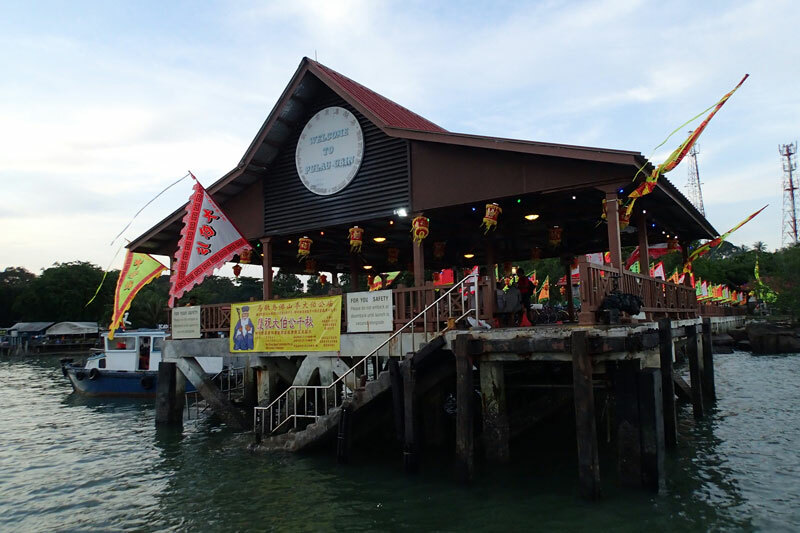 While at the drop-off point of the ferry terminal, the schedule of events and free bumboat services is displayed. 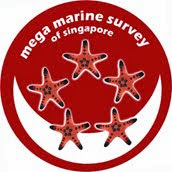 Detailed schedule and free bumboat service notification. If you are unable to understand the schedule in Chinese, the translated version is can be found on my blog post here. 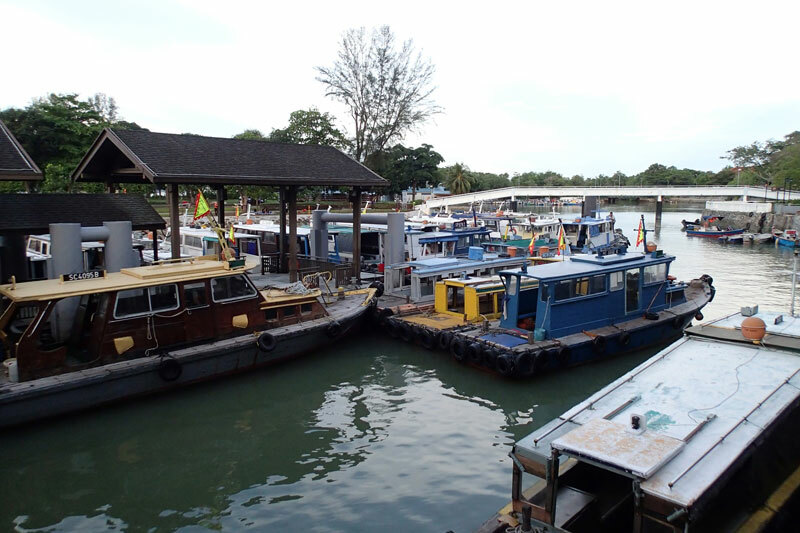 The free bumboat service starts exactly at 6.30pm but the usual requirement of 12 pax to leave still applies. 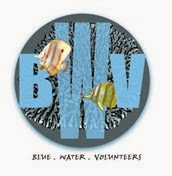 Afterall, the bumboat operators are doing a great service for the festival. 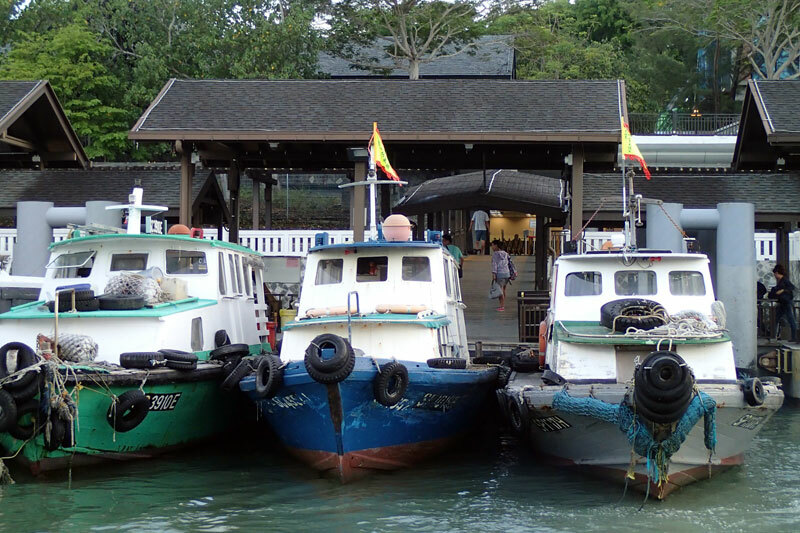 At the ferry terminal, all the ubin bumboats looked a bit different. 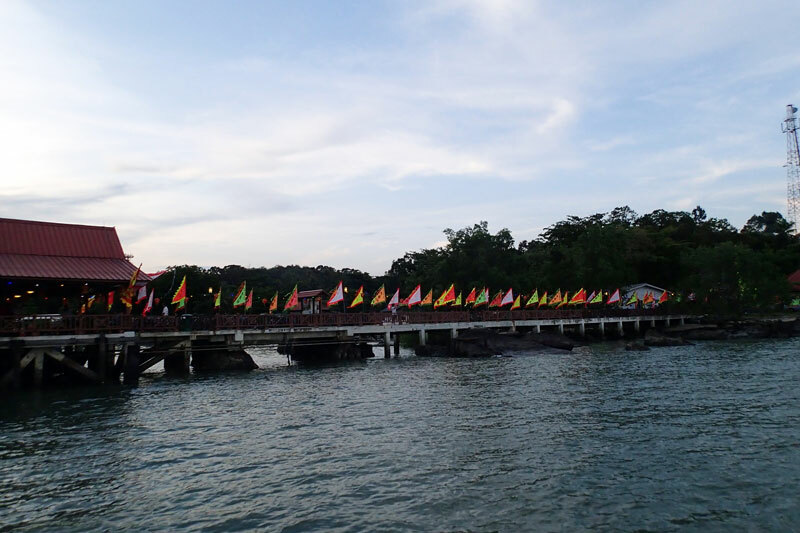 Each boat has a yellow flag attached to mark the celebratory event. 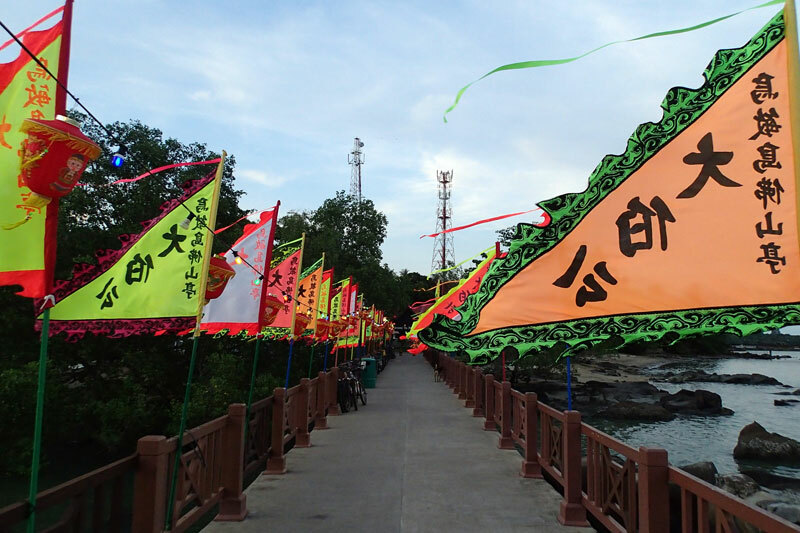 It was rather difficult to find one flag that shows the words printed on it, but I did see one phrase which translates to "smooth sailing". 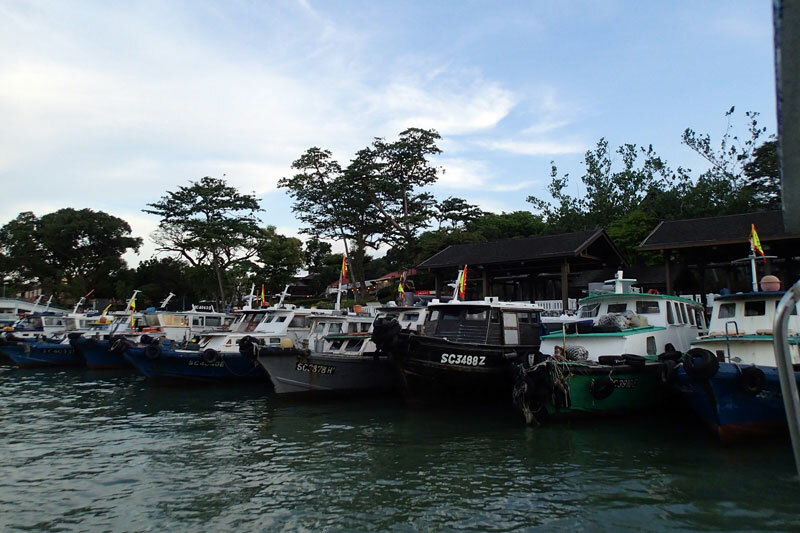 More ubin boats with flags. Bow shot of the boats with flags. Closer look at the flag. 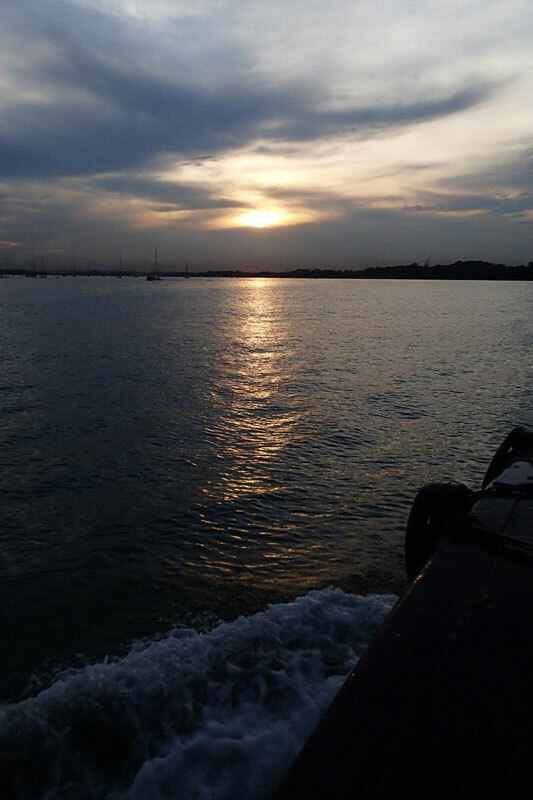 It was a nice to watch the sunset while on my way to Pulau Ubin. The sun sets while on my way to Ubin. 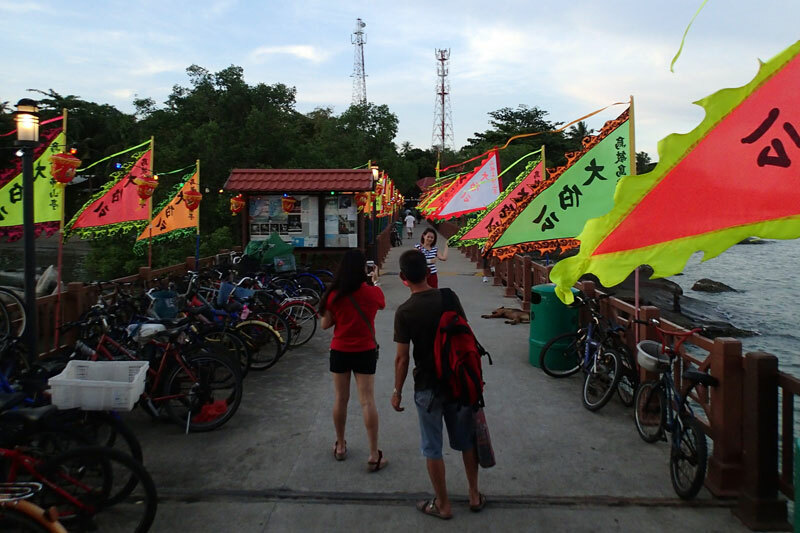 Nearing the Ubin jetty, the passengers can see how well decorated the whole jetty is. It feels like a welcome pathway leading you to the actual location of celebration. Large flags on the jetty. The arrival and departure area of the jetty. Of course, many visitors could not resists stopping to take photos. Photo taking with the large flags. I could not resist taking a panorama shot from the jetty. 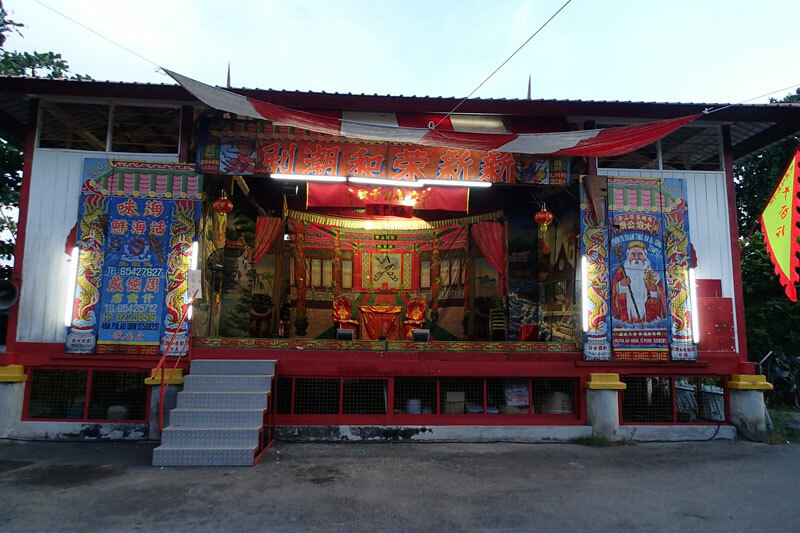 At Ubin Town, the opera stage is all setup and ready for tonight's show. 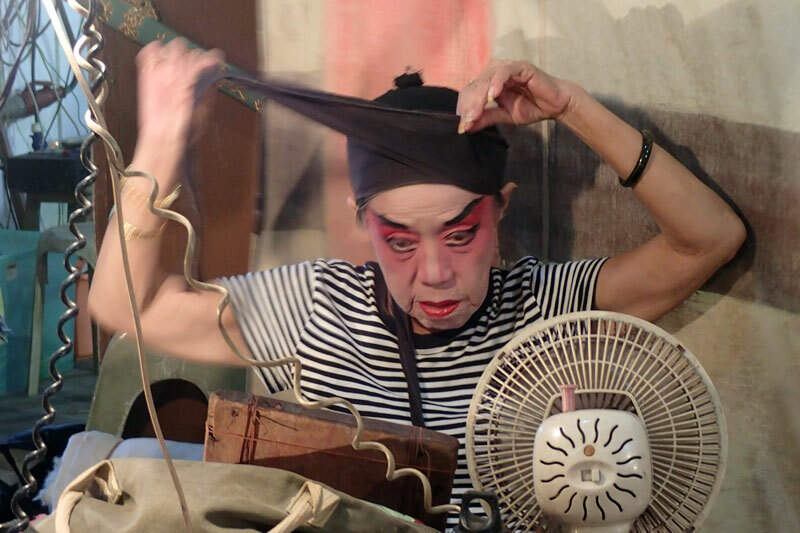 It will be Teochew opera and tonight, they will be playing 《红鬃烈马》, which translates to 'A Spirited Horse with a Red Mane'. 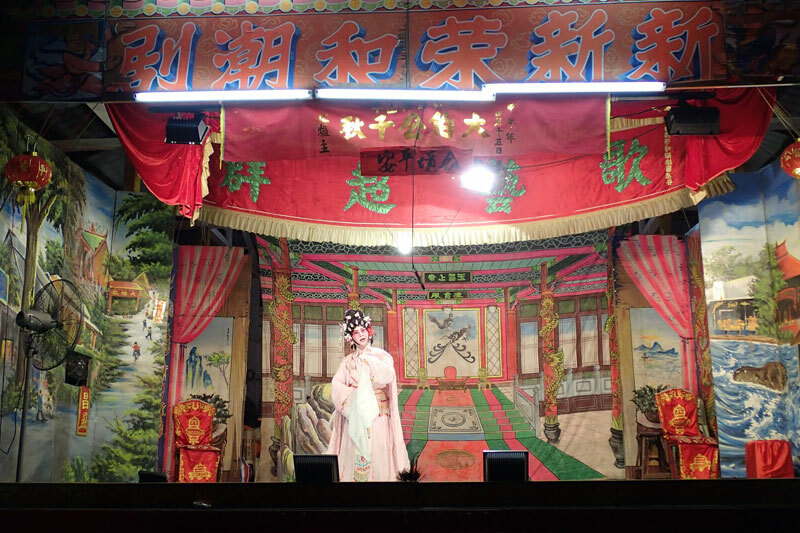 Unfortunately, I did not quite understand what the characters are saying most of the time even though I am a Teochew. However, I did manage to find the English version of the plot and it can be found here. 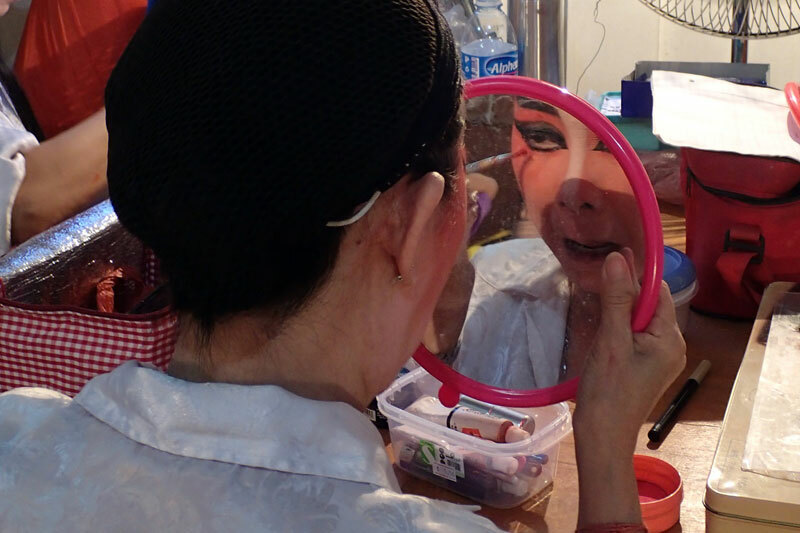 I went to the opera backstage to have a look and it is rathe interesting. 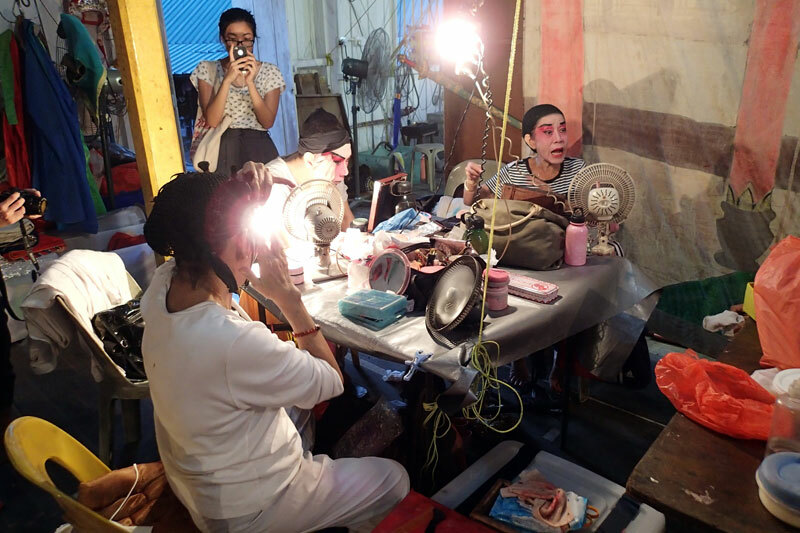 Everyone is busy doing up their face. 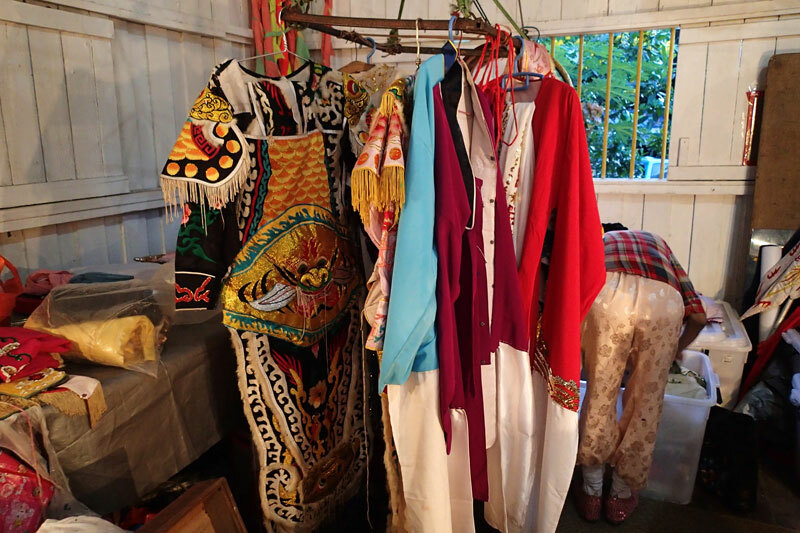 Costume set for tonight's show. While at the temple side, visitors are coming in to offer incense to various gods and deities. 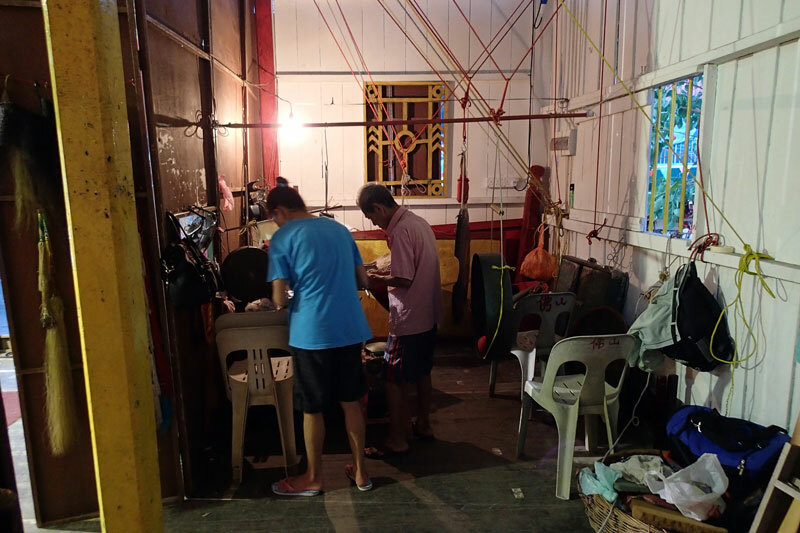 You can purchase coil incense at the temple, which comes attached with a slip of paper to pen your prayers, and you hang it up after writing your prayer and lit the incense. 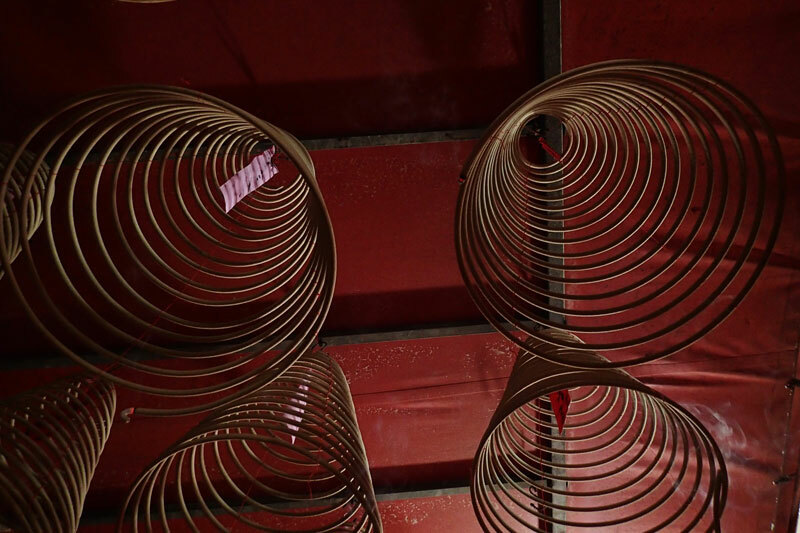 From my understanding, it is usually the Teochew temple that does the coil incense, in Singapore. 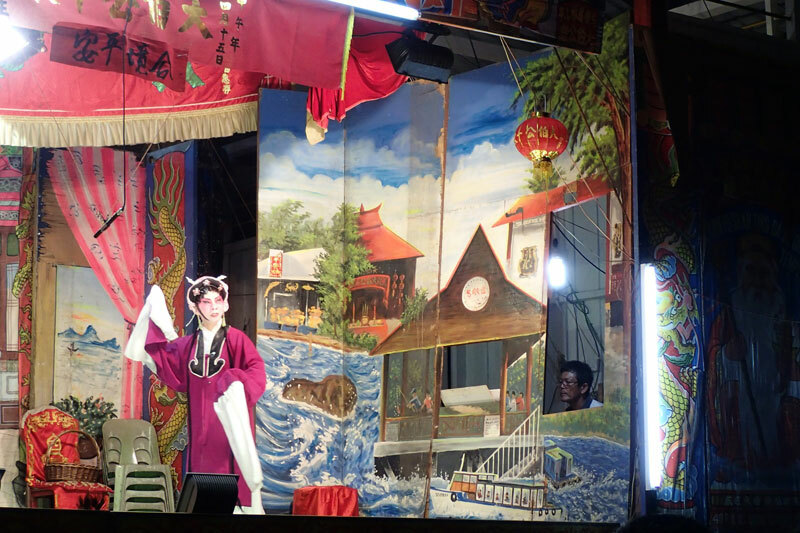 At 7.30pm, the Teochew opera began. Opening scene of the opera. 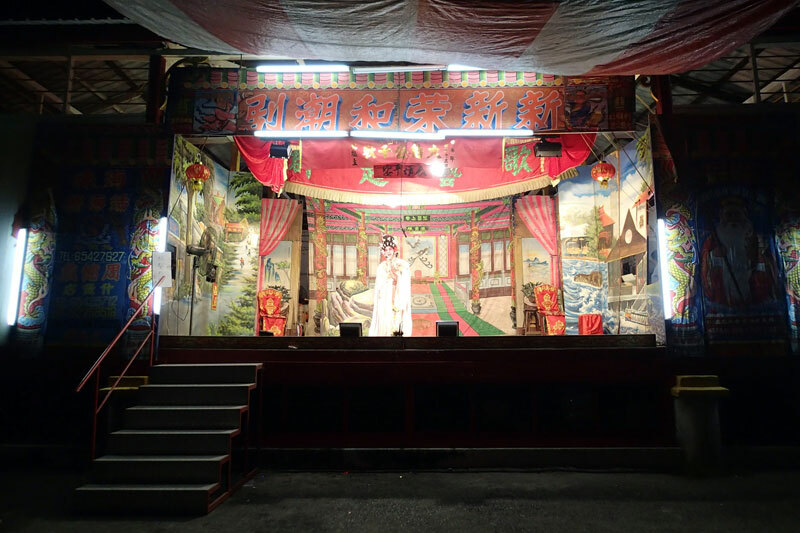 There was not much audience tonight as it was only the first day of the celebration. 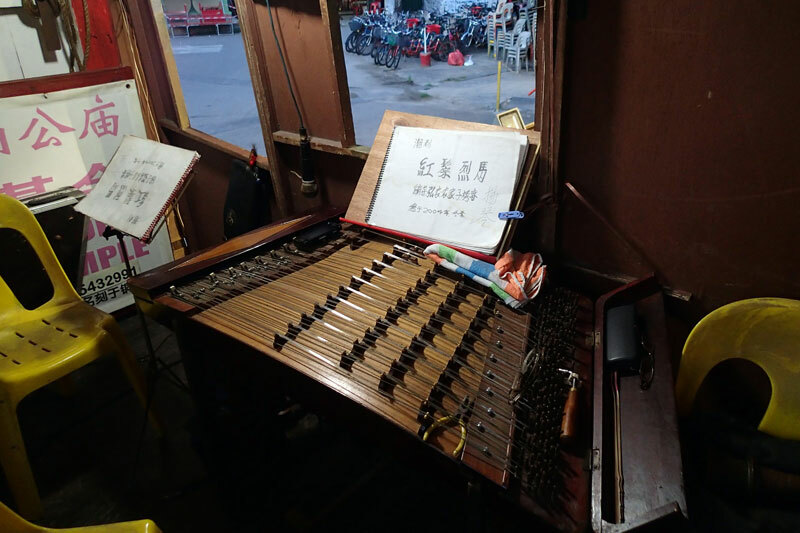 Do notes that the whole opera lasts for about 3 hours, but you may leave whenever you want to. 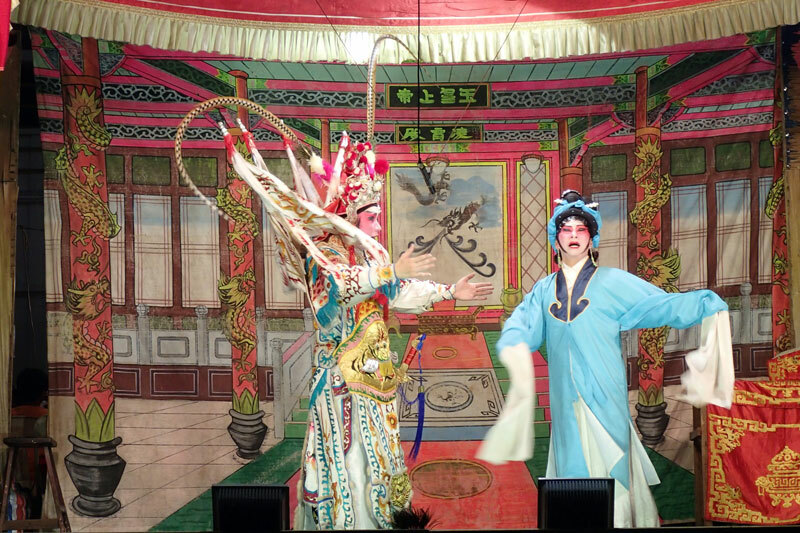 Stages shows during such occasions are meant for the gods and deities to watch. 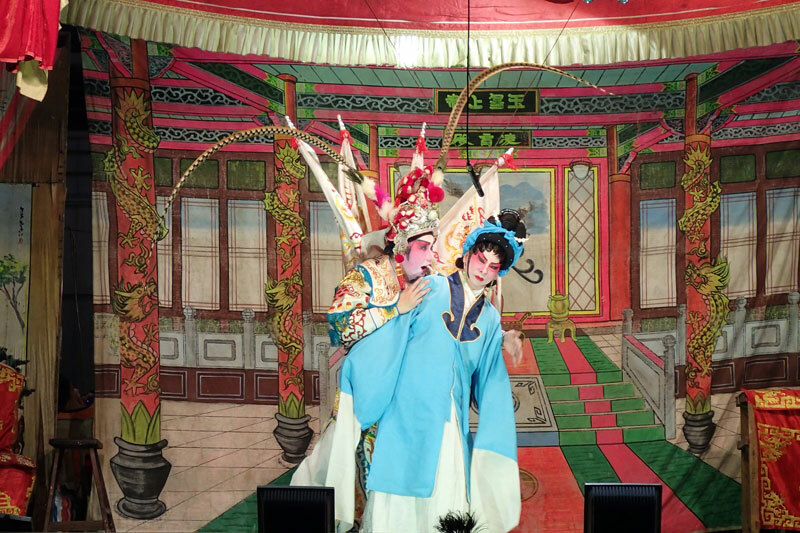 The number of people who actually appreciates Chinese opera are dwindling and so is the number of people practicing Chinese opera. 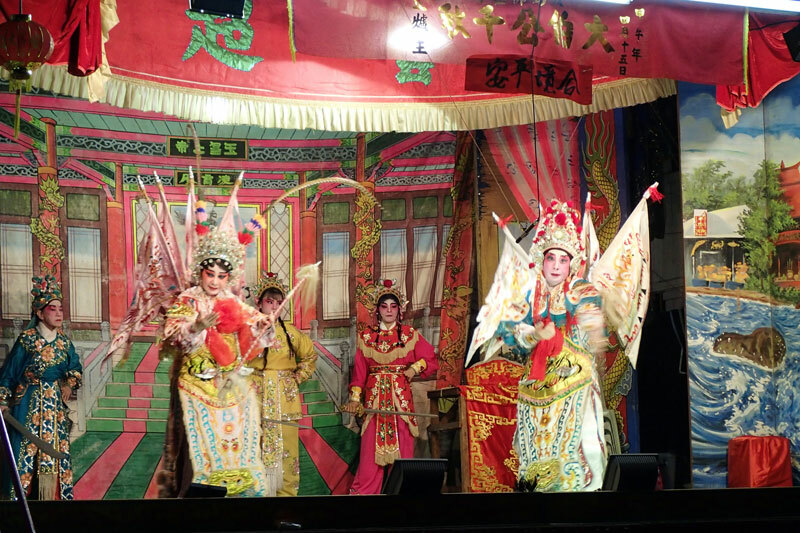 In years to come, Singapore may end up losing the Chinese opera culture, which I think is sad with all the elaborate costumes, props and stage setting. More photos of the opera. 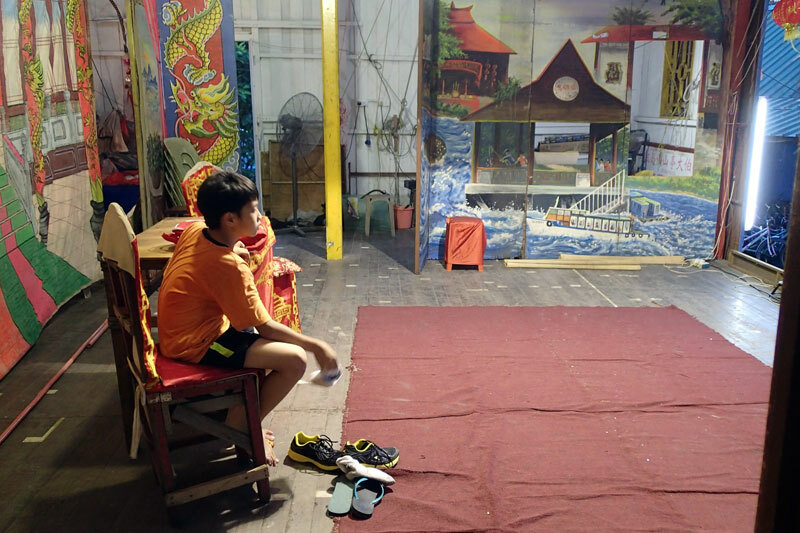 Stage "curtain" for during a change of scene. I did not even notice the drawings on the panels until towards the end of the play. It is actually a drawing of the Ubin jetty and its surrounding. 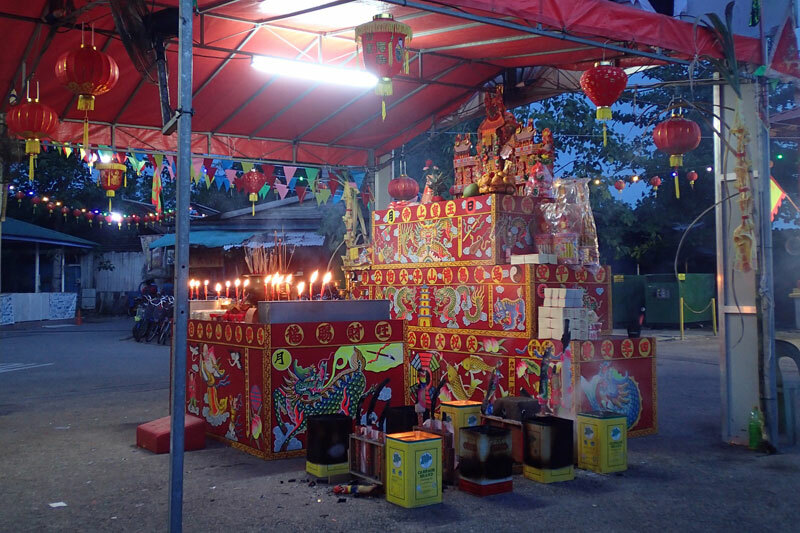 It is an interesting experience to witness how temple festival is celebrated on Pulau Ubin. 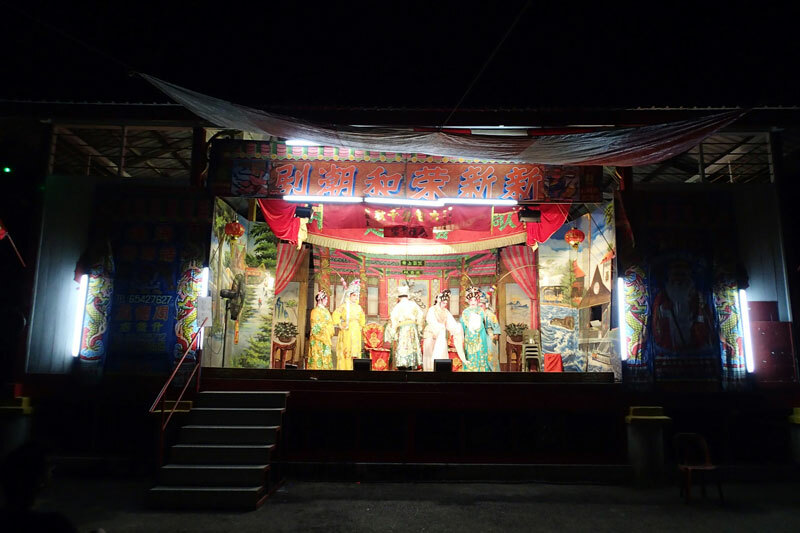 If you are interested, there is still 4 nights left to visit and watch the Teochew opera while the last night will be the highlight of the celebration with getai (live hosted show with lots of singing). 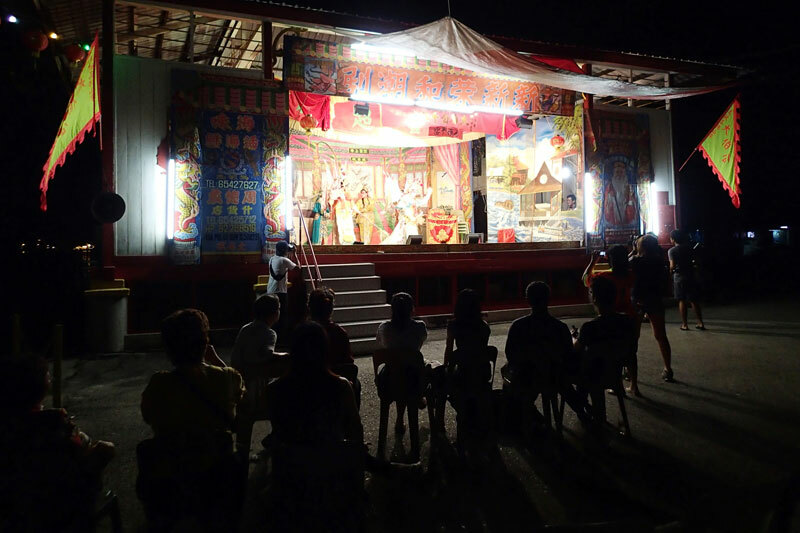 The best part about operas and getai on Ubin, who cares about noise restrictions at night on Ubin.